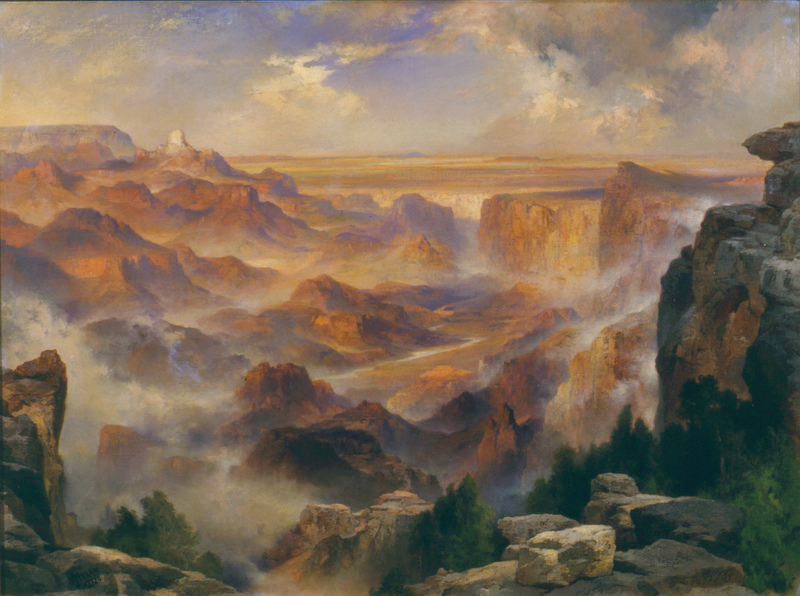 The Grand Canyon has long served as inspiration for artists. Featured on this page are several of the artists who have, over more than 100 years, captured the beauty of the Grand Canyon landscape, wildlife, and people. 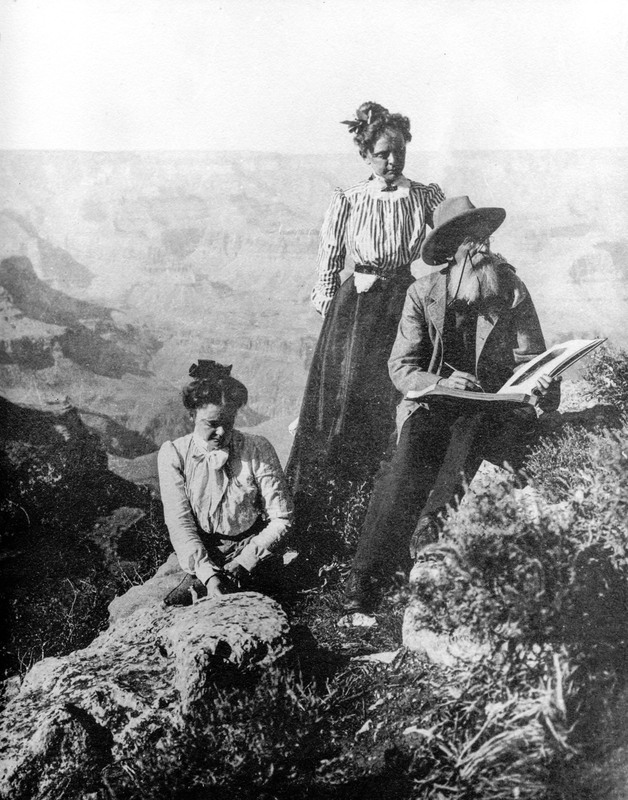 Thomas Moran, shown here with his two daughters while sketching the Grand Canyon ca. 1905, traveled extensively throughout the American West, visiting and painting such places as Yellowstone, Zion, and of course, the Grand Canyon. Moran painted with both oil and watercolor, and also had a background in engraving. 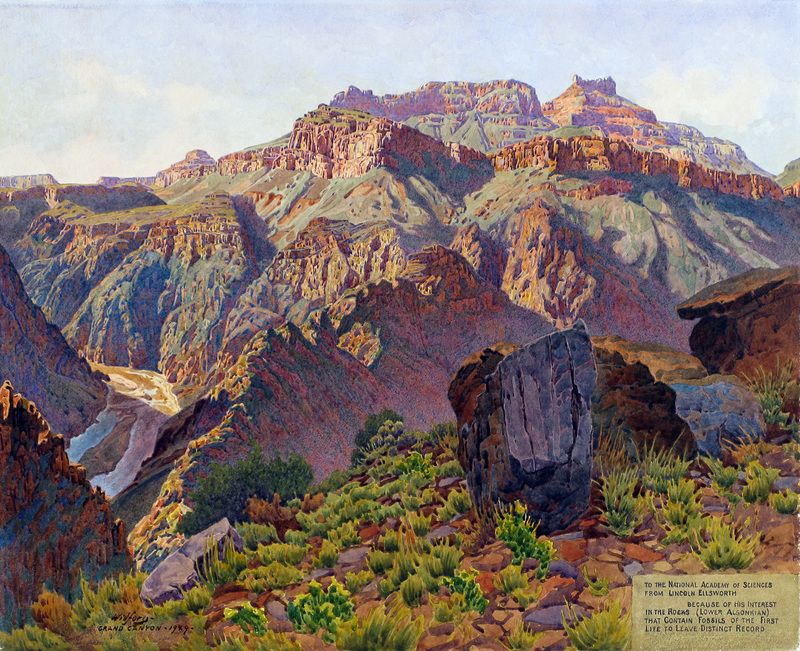 The scene below was painted by Moran in 1920 and shows a portion of the eastern end of the Grand Canyon. Louis Akin grew up in Portland, Oregon and studied art in New York, He then traveled to Arizona, where he lived in Oraibi while painting the Hopi people, the Grand Canyon, and later, Flagstaff, where he lived until his death in 1913. One of Akin’s most reproduced paintings is that of El Tovar, pictured below. Painted in 1905 or 1906, this painting shows the El Tovar hotel and Hopi House perched on the edge of the South Rim overlooking the Grand Canyon. Gunnar Widforss, shown here on the rim of the Grand Canyon ca. 1925, was born in Sweden and traveled extensively before first visiting the Grand Canyon in 1923. 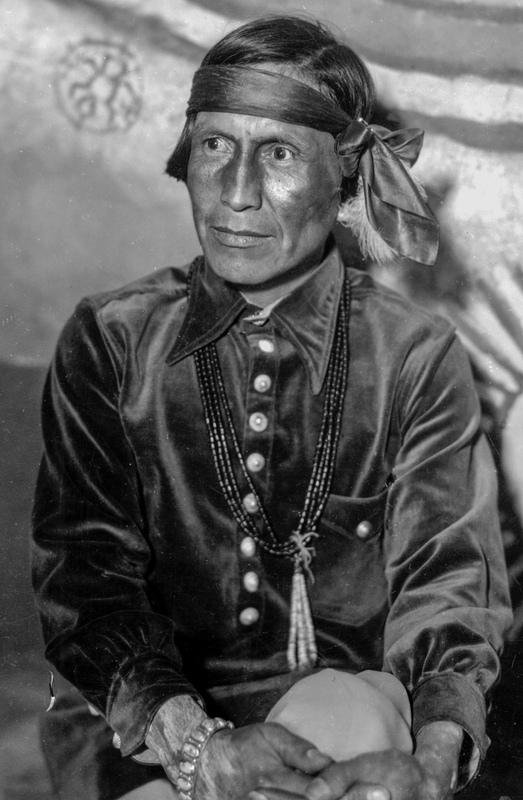 Widforss spent much of his time thereafter in the Grand Canyon until his death in 1934. He is buried in the South Rim Cemetery, and both Widforss Trail and Widforss Point on the North Rim are named for him. Pictured below is one of Widforss’ watercolors from 1929, showing the Lower Algonkian Formation in the inner canyon. Hopi artist Fred Kabotie, shown here ca. 1932, worked in a variety of mediums, including oil, watercolor, and silversmithing. 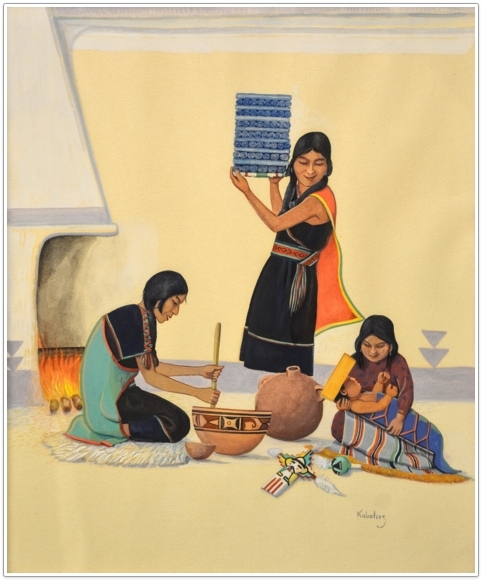 His paintings, like the watercolor below, depict Hopi people, legends, and ceremonies. 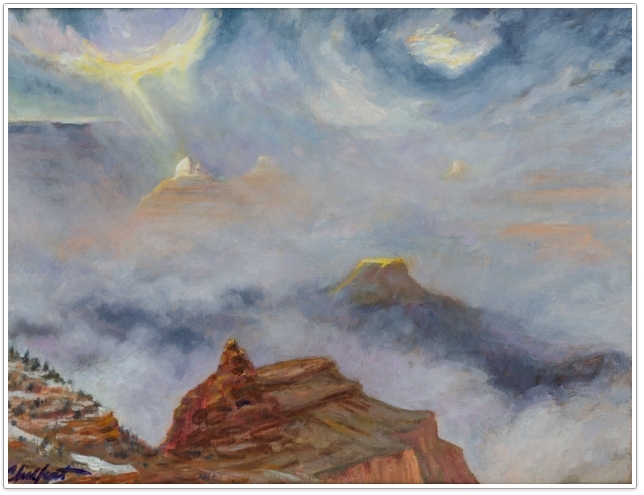 In the 1930s, Kabotie was commissioned by Mary Colter to paint the interior of the Grand Canyon’s Desert View Watchtower. His Watchtower murals beautifully describe Hopi connections with the Grand Canyon. Learn more…. 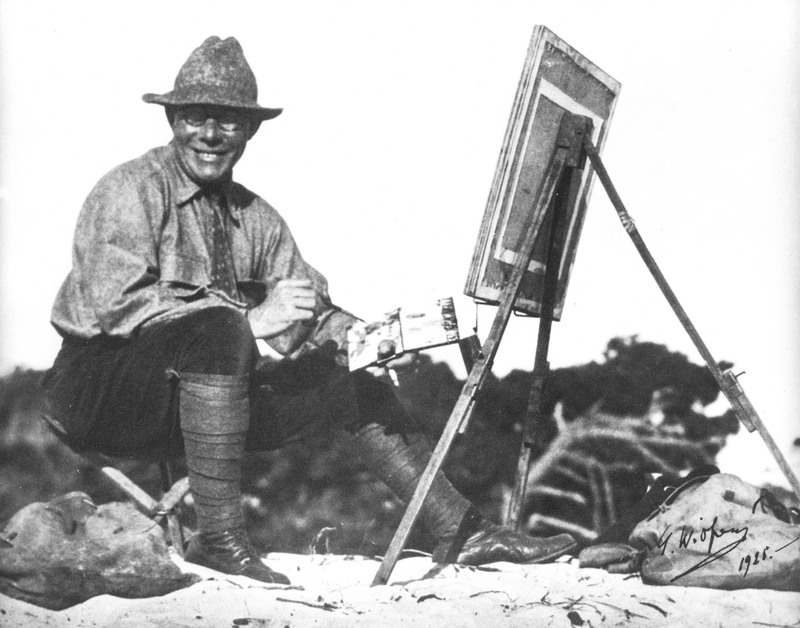 Richard Chalfant, a Impressionist and Plein Air painter, was selected as one of the first artists to participate in the Artist-in-Residence program on the South Rim of the Grand Canyon. While in residency in January, 2008, Chalfant captured an inversion in the canyon in oil (below). 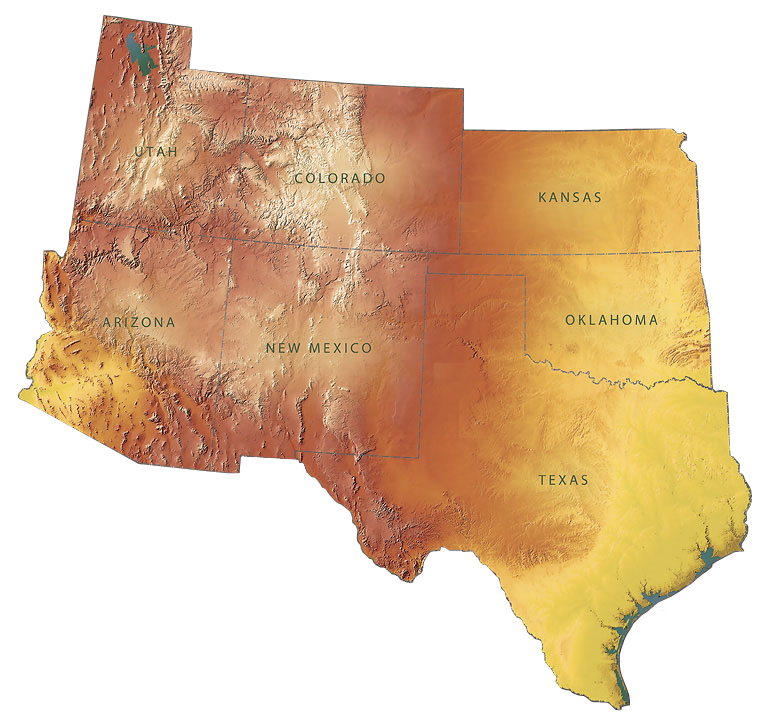 Karen Ahlgren, a contemporary artist who grew up in California and now lives in New Mexico, was selected as Artist-in-Residence for Grand Canyon National Park in October, 2010. 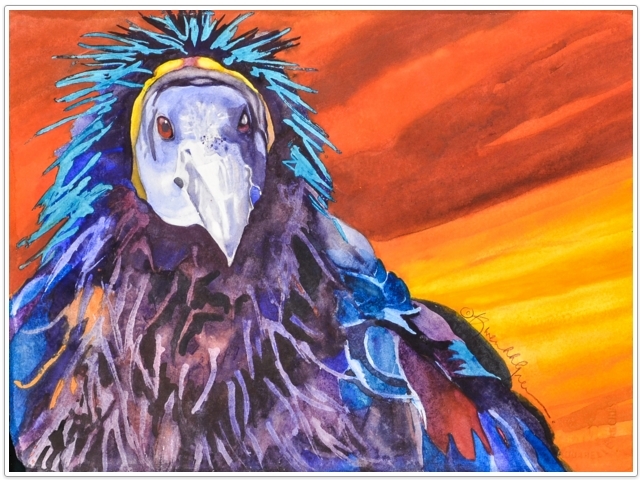 During her residency on the North Kim, Ahlgren produced an amazing array of vibrant watercolors, including “The Ambassador,” pictured below.